The Book and Bell logo (above) and tagline (Midwestern Heart. Global Mind.) are to be used for both internal and external communication purposes. 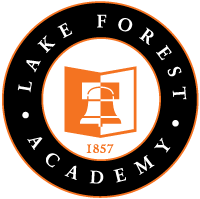 The Lake Forest Academy seal (above) will be used where deemed appropriate (e.g. on diplomas, official formal documents, etc.) but it should not appear on the same surface or page with the Book and Bell logo and tagline. 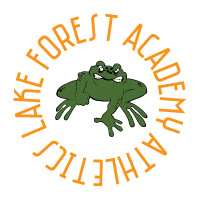 Use only officially prepared logos provided by Lake Forest Academy Communications. 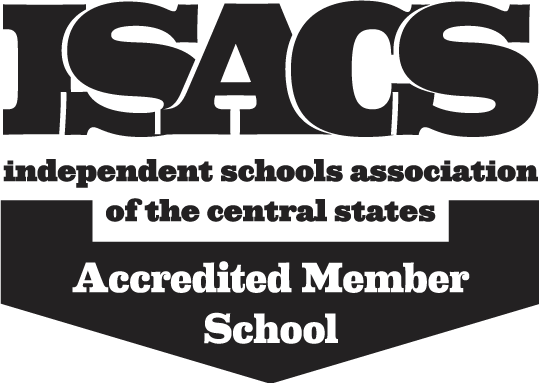 The required space around the logo should be no less than the height of the bell holder in the illustration. 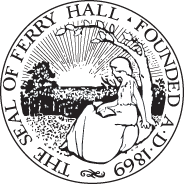 For logos in print materials, use an AI (Illustrator), EPS, TIFF, or PDF file type. For logos used on a screen or online, use a JPG, PNG, or GIF file type. 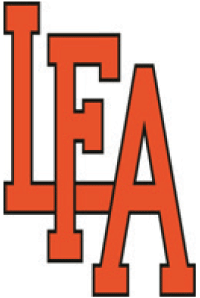 If you need a logo with a transparent background, use the AI, EPS, or PNG file type. Logos may be enlarged or reduced in size to fit the application, keeping the dimensions intact, without distortion in shape. Logos should not be altered, or use colors not specified in the Color Palette & Specs section. Saniretro is an all-caps font. It is a free download from dafont.com. Etching--logos may be etched on glass, metal, stone, etc. 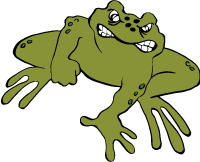 Embroidery--logos may be embroidered in either a 2-D or 3-D type of stitching. Embossing/Debossing--OK on paper and fabric in approved colors. 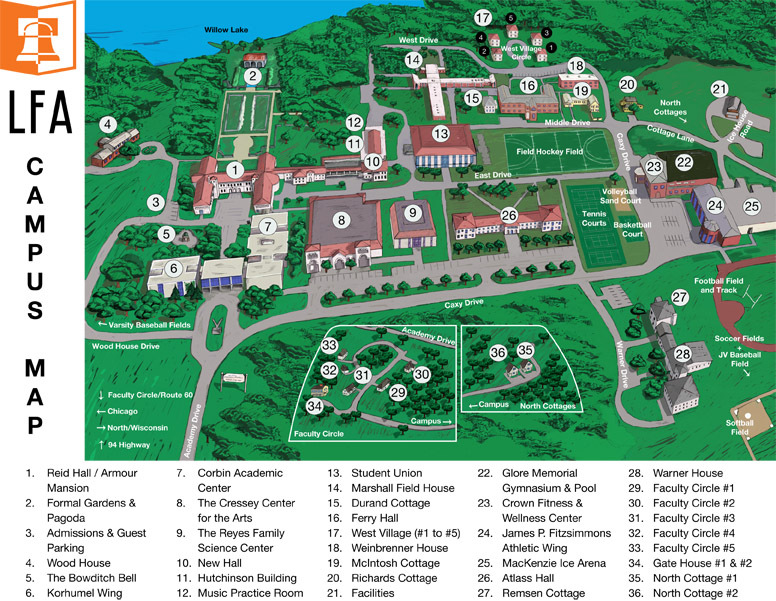 Please contact the Communications Department for access to any of the logos listed in this section. These logos should be used in black or white only, and only on a black, yellow, or white background. 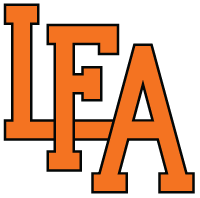 The interlocking LFA is typically used in two-colors as shown (orange with black outline) but may also be used in a single color (black, white, or orange) or single color outline only in black, white or orange with “empty” interior, one color for both outline and interior. 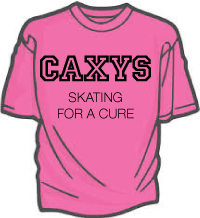 Caxys doesn’t have an apostrophe, unless using a possessive, e.g. “The Caxys’ home- opener was exciting!” In this case, the apostrophe goes after the s in Caxys. 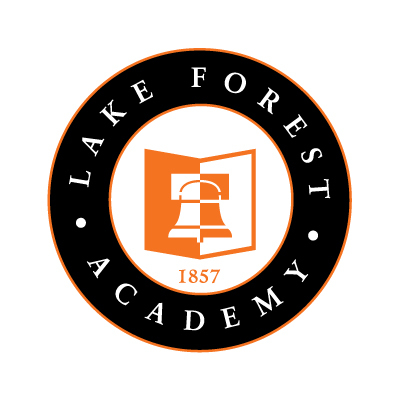 This is available in CAXY/CAXYS, LFA, & LAKE FOREST ACADEMY, and each set of typography is available in horizontal, arched, and vertical versions. This typography may be produced in black, orange, white, or gray lettering, or a combination of these colors. It may be used with a graphic or icon that represents the activity, e.g. a helmet, stick, bat, waves, musical notes, etc. 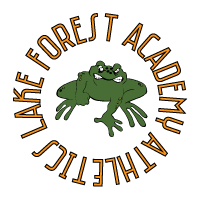 Artwork is available in each style for the following: Athletics, Baseball, Basketball, Cheerleading, Choir, Cross Country, Field Hockey, Football, Golf, Hockey, Lacrosse, Laptop Orchestra, Parents Association, Prep Hockey, Robotics, Soccer, Softball, Squash, Swimming, Tennis, Track and Field, Volleyball, Wrestling. Please contact the Communications Office for artwork. 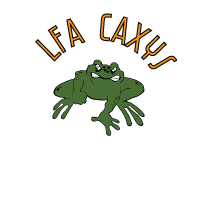 When the word CAXYS appears alone, it is plural. 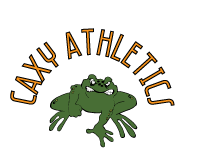 When it appears with a co-branded team or club name, it is singular: CAXY. If you’re resizing an image in a Word doc, click on the Shift key and drag one corner of the picture box diagonally at the same time to resize - this keeps the image from distorting. When you’re finished dragging the frame to the desired size, don’t take your finger off the Shift key until you’ve released the cursor. If the purpose of using a different color is cause-related (e.g., pink for breast cancer awareness), the logo artwork may appear in black or white on cause-color fabric. Contact the Communications office with any questions.